Minna got involved in Crossfit in early 2013 after she had been training like a bodybuilder for years. Crossfit made her healthier and stronger. She moved to Phnom Penh in September 2016 to join Amatak. As an original Finn, Minna is an avid coffee drinker and a weightlifter. This Masters athlete finds her joy from coaching the elegance of Olympic lifting. Although it is challenging, she says it gives her happiness to see athletes put the pieces of each lift together. She believes health should be defined by how our bodies feel. Minna likes to nerd out by studying the anatomy of lifting and movement. Coach Ivan is proof that change is possible. On March 8, 2012 he was reborn and traded in booze and cigarettes for barbells and clean living. He began his new journey playing American football in Russia, using CrossFit as a supplemental strength and conditioning program. Soon, he found himself focusing more and more on CrossFit, and less on Football. It became his passion, and he decided to make another change to pursue a career in health in wellness. He began coaching at the end of 2012. 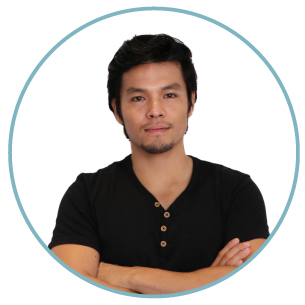 As a certified coach with experiences on both ends of the health spectrum, Ivan is able to relate to people on personal levels and has used his experience to help motivate and inspire others to do the same. 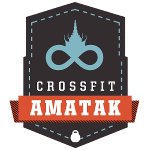 Corbett founded CrossFit Amatak in 2014 after a surprising number of friends continued to join him in parking lot workouts at a Phnom Penh gym. With a work life that is usually 60+ hour a week, his biggest love of CrossFit is the efficiency and the community. 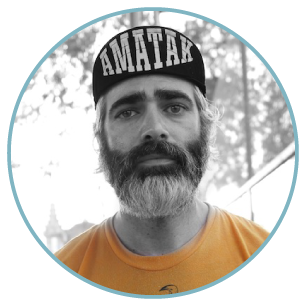 He splits his time supporting Amatak as a coach, helping with graphic design and helping out in back office funness. When he’s not working out at Amatak, he’s busy with one of several other endeavours in Cambodia. Corbett has B.A. in American Studies from the University of Texas and an M.A. in International Development from American University (Washington, DC). Kobe grew up in a small village 55 km from Phnom Penh. He moved to Phnom Penh for university. Kobe found Amatak through his friend when the operation was still at a parking lot. He survived his first Bootcamp WOD and was hooked. Later when Amatak got its first facility, Kobe moved on to Crossfit. He decided to become a coach in January 2017 to spread the word of fitness amongst other Cambodians. Pern was born and raised in Kuala Lumpur, Malaysia. He started CrossFit in 2015, and has been hooked since. From being out of breath after walking up a flight of stairs to running Spartan Races, Pern credits CrossFit with changing his life and improving his fitness. Pern started coaching to inspire the same passion in others, as well as improving the health and fitness of others. 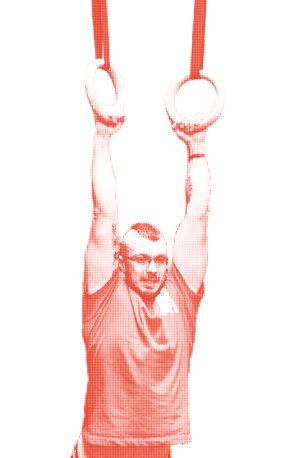 Other than Crossfit, Pern is also interested in movement and gymnastic skills, he is currently also a student at the local circus school.